Looking to Host a Few Friends This Ski Season? Look No Further! 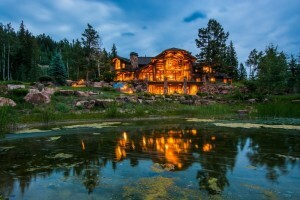 Park City, UT – Ski-in/ski-out access via your own private run that’s part of the largest ski resort in the U.S. Twenty-two acres of private mountaintop land that includes two ice skating ponds and a waterfall. A separate guest wing so that you don’t have to deal with all of your friends who insist upon visiting all winter long. A 14-seat theater room, indoor putting green and golf simulator will keep them entertained enough without you, anyway. Not exactly your run-of-the-mill ski chalet, is it? And if you’re the high bidder, it’s all yours. 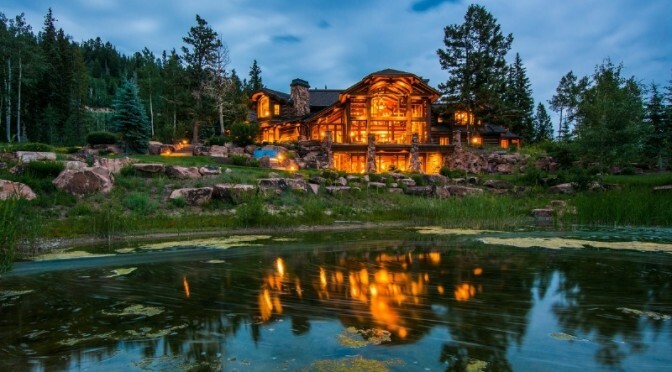 DeCaro Luxury Auctions has announced that it will sell this 16,500-square foot mountainside mansion at absolution auction on October 3. 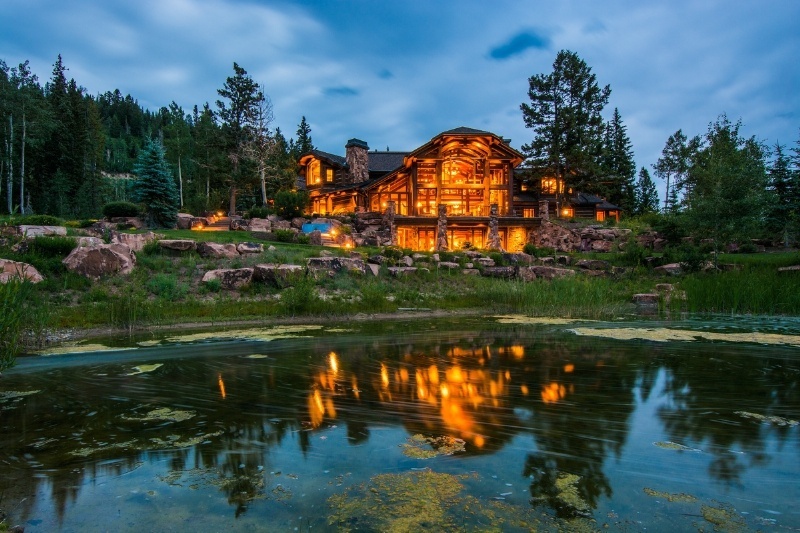 It’s situated in the 4,600-acre gated community called The Colony in White Pine Canyon, high on Park City Resort’s slopes in what used to be Canyons Resort. Got the après-ski munchies? Drop those skis in your own private locker room, and then go throw a pie into the gourmet kitchen’s built-in wood fired pizza oven. Cold after a hard day on the slopes? Toss another log into that massive central fireplace designed by architect Gary Francis. Want some privacy? Breeze those bare feet across the reclaimed Israeli limestone the lines the floor in your master bathroom suite. Crank up the volume and rock out in your dedicated music room. Go ahead and behave like Macaulay Culkin in Home Alone – you deserve it after all! We had to sit there and add them up from DeCaro’s press release, but including the master suite we’re only counting six bedrooms, each with their own bath. With 16,500 square feet, surely there are more? Otherwise, you’ll be sending some of those friends to the Holiday Inn, which may not be such a bad idea anyway.